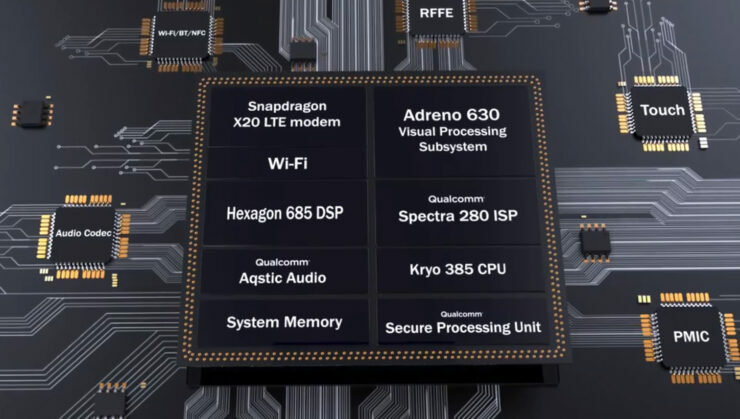 Qualcomm made the Snapdragon 845 official just a couple of days back at its Tech Summit. The processor allows it to gain sure footing on 10nm, and launch more refined silicon compared against the Snapdragon 835. Competition in flagship smartphone processors is as tough as ever, particularly due to Apple’s massive gains this year. Cupertino launched the A11 Bionic, which extended its dominance to multi-core performance as well. Now, it’s Qualcomm’s turn to respond. While the 845’s launch itself didn’t come featuring technical details, Qualcomm’s made true on its promise. So wondering what next year’s Android flagships will be capable of? Take a look below to find out more. This year’s Snapdragon 845 is an interesting processor. With its predecessor, Qualcomm aimed to improve power efficiency but didn’t focus that much on power. Given that 10nm brought several improvements on board by default, the US chip giant can be forgiven. However, with the 845, it might’ve followed an approach that’s exactly opposite. The processor is manufactured on Samsung’s 10nm LPP, promised to offer a 10% performance boost. Compared against this, the Snapdragon 845’s 2.8GHz frequency is somewhat larger than you’d expect from the 835’s 2.45GHz. This most likely means that the latest Snapdragon uses more power when compared to its predecessor. 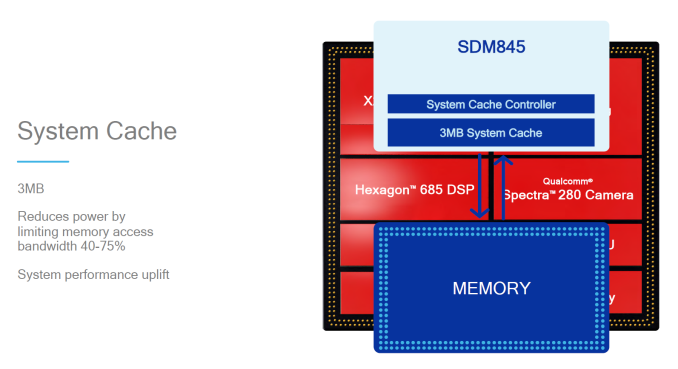 Talking about frequencies and cores, the Snapdragon 845 comes in a big.LITTLE arrangement. The ‘big’ cluster features 4 Kryo 385 Gold cores clocked at 2.8GHz. The LITTLE cluster features 4 Kryo 385 Silver cores, clocked at 1.8GHz. Each Gold core features a 256KB L2 cache and each Silver core features a 128KB L2 cache. Since the 845 support’s ARM’s DynamIQ, the Gold and Silver cores are likely based on ARM’s Cortex A75 and A55 respectively, as only these offer support for the feature. The Snapdragon 845 also features 2MB L3 cache, that reduces memory access bandwidth by up to 75%, according to Qualcomm. The company provides little details for the Adreno 630, but promises that GPU offers 30% power reduction and performance increase. DynamIQ’s introduction opens a lot of avenues for manufacturers, including Qualcomm, for customization of individual cores within the processor, according to power envelopes. Some crucial multimedia improvements also make it on board the 845. The most important of these is Multi-frame Noise Reduction, a feature that operates in a similar manner to Google’s HDR+. Just like HDR+, MFNR captures a succession of images and eliminates noise via algorithms. HDR10 HEVC and 60fps 4K recording also make it on board. Finally, the X20 modem includes support for download speeds up to 1.2GHz on 5x20MHz downstream carrier aggregation. All in all, the 845 makes some important upgrades. It doesn’t attempt to overshoot in a particular segment either. How well does the processor perform, we’ll be able to tell only after testing. Till then stay tuned and let us know what you think in the comments section below. We’ll keep you up to date on the latest.